White Activ Anti Spots + Oil Control Charcoal Foam has magnetic action that captures dirt and oil, fights pimples and blackheads. Lather it in the your palms. Apply on wet face and gently massage concentrating on forehead, nose and chin. Avoid eyes contour areas. Rinse thoroughly. Established in the year 2008, we, Seabuck Ayurveda Pvt. Ltd., are among the prominent manufacturers, suppliers, distributors, wholesalers and traders of a wide range of the finest quality of Skin Care and Beauty Products. Inclusive of Face Care Products, Papaya Facial Kits and Strawberry Facial Kits, we offer a wide range of skin care and beauty products. These facial kits are processed from quality assured ingredients that are sourced from trusted and reliable vendors of the industry. Their excellent anti-aging & rejuvenating properties, makes these skin care and beauty products highly demanded in the market. Our large production capacity and excellent storage facility, we have been able to manage bulk demands in the most efficient manner. 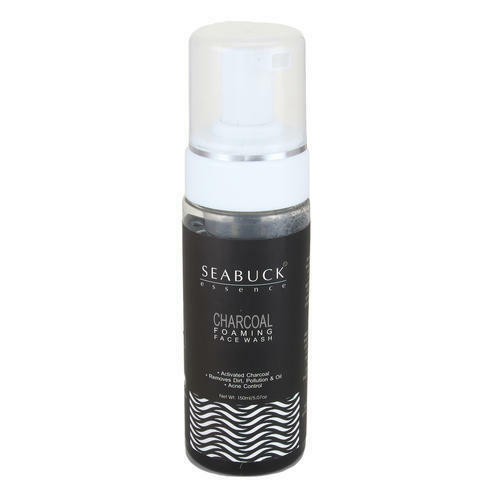 Quality of the offered Some of our valuable customers associated with us over a long period of time are Seabuck Care, Pankaj Traders and Sadhna Enterprises. Timely delivery of the offered range of skin care and beauty products is assured owing to our excellent transportation facility.